Although one calls upon a board and the other utilizes a ball, skateboarding and soccer are similar in that they both require skillful use of a participant’s feet — no matter if they’re curving a corner kick or coaxing a tricky laser flip. 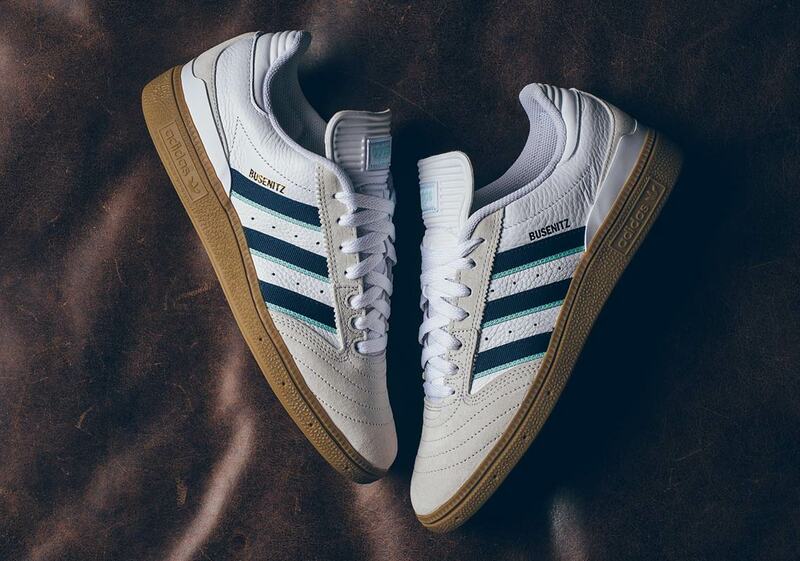 Therefore, taking a classic soccer shoe and re-working it into a skate-equipped silhouette makes a lot of sense, and that’s exactly what the Trefoil Brand has done with the adidas Busenitz. 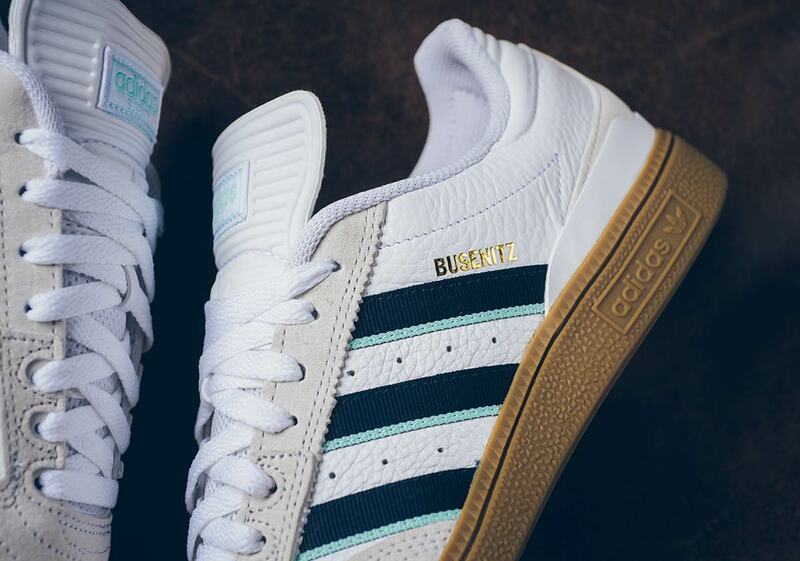 Inspired by the classic Copa Mundial soccer boot, the Busenitz beefs up the traditional design, adding padding and durability in high-wear areas without discarding the Copa Mundial’s classic soccer DNA. 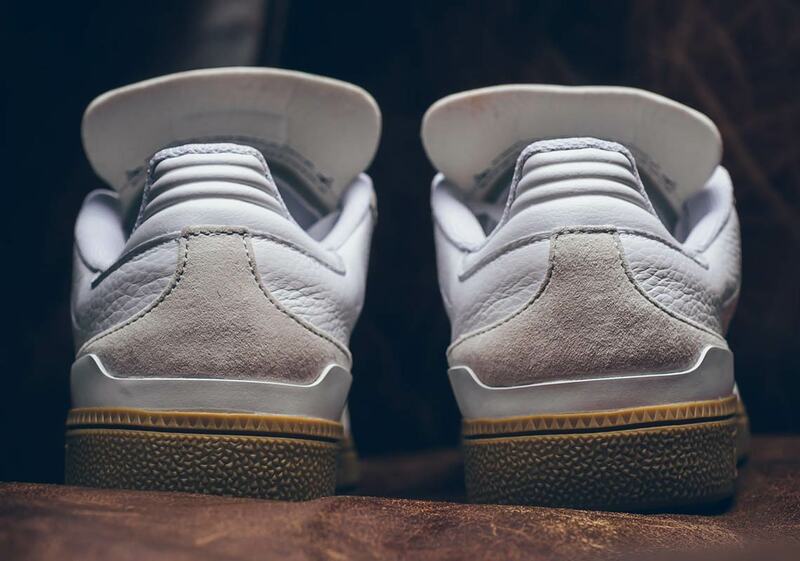 It’s released in many a clean colorway as well, and the latest pair to surface is this combination of white/tan accented by navy stripes. 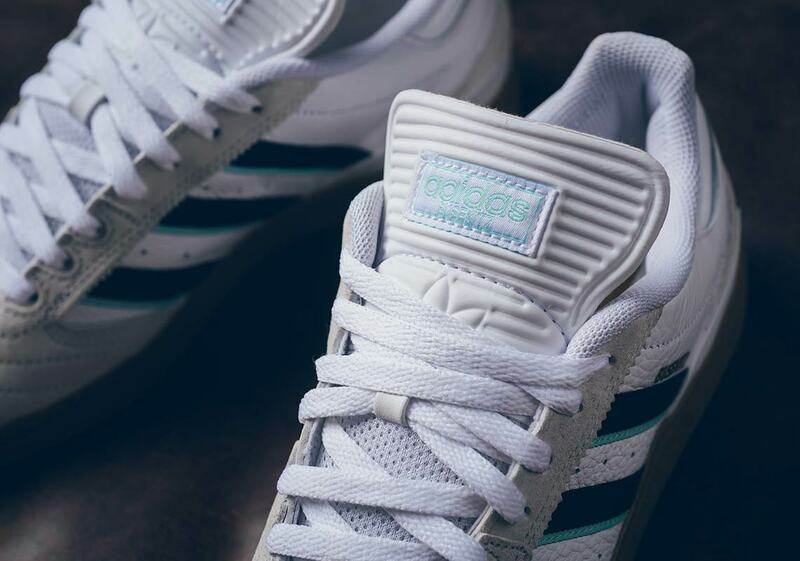 Light mint green piping and a mint green logo on the tongue also appear to provide airy accents. 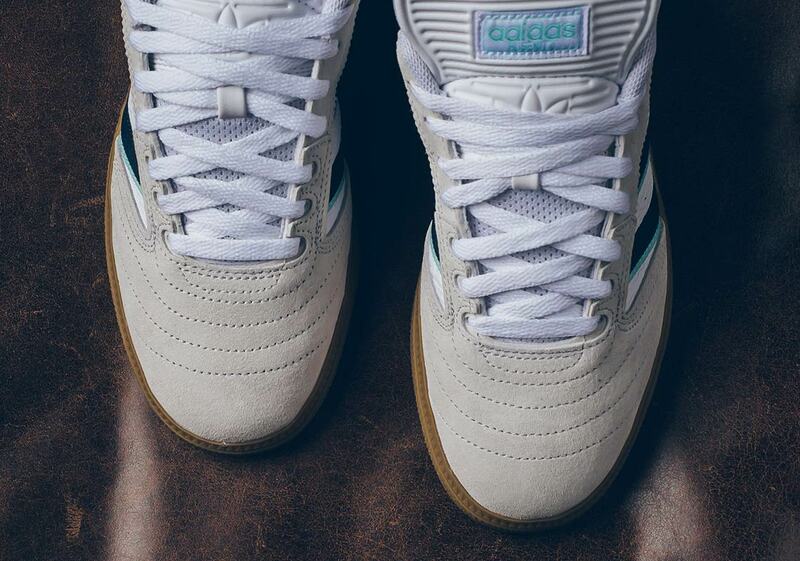 A gum outsole — equally as iconic in both soccer and skate — then completes the look. 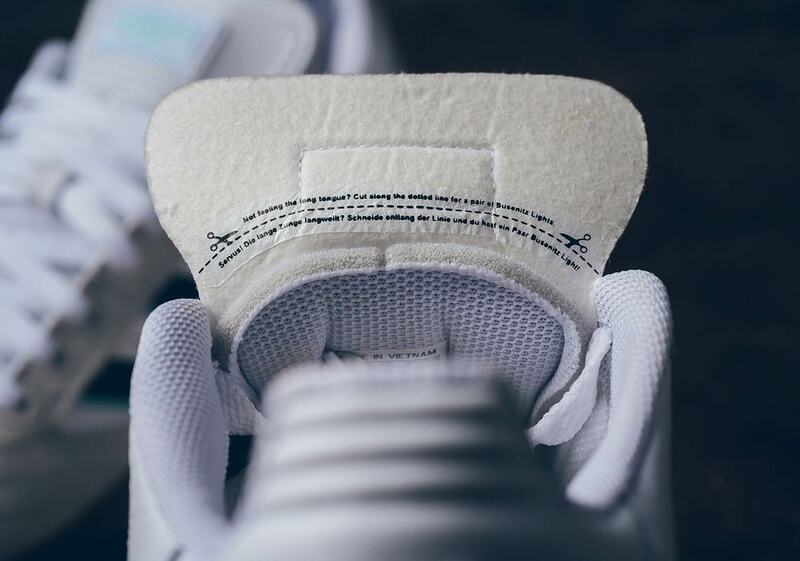 Skate shoes are meant to be customized too, so there’s a scissor line on the tongue — a guide if you’d like to cut it down for more feel. 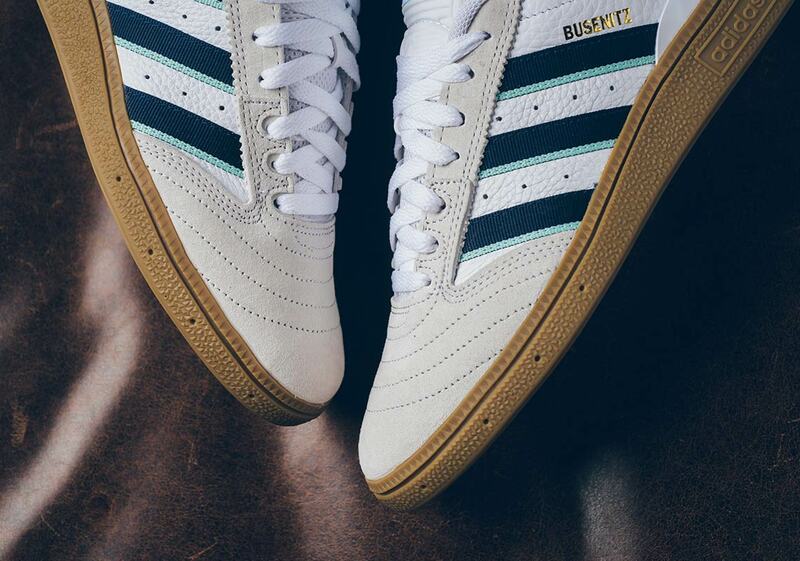 If you need a new pair of boarding shoes, you can grab these Busenitz kicks at the Three Stripes stockists listed below for $90 USD. 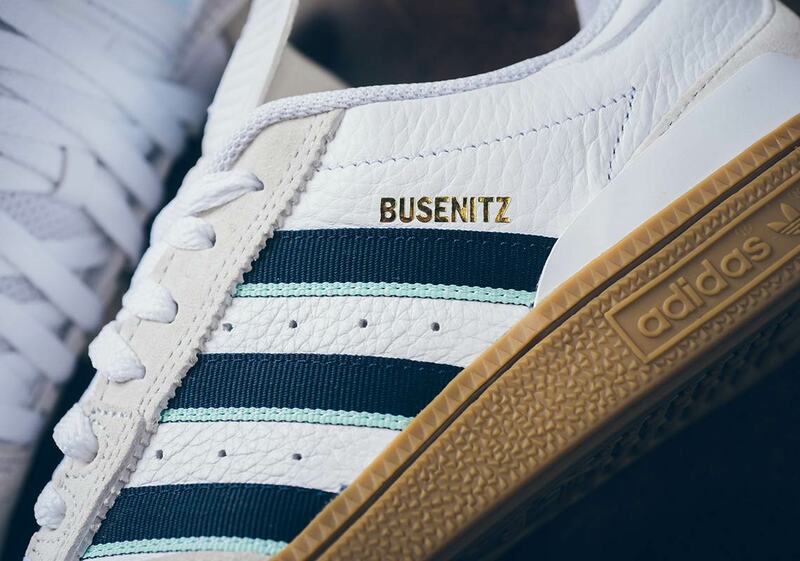 The post The adidas Busenitz Pro Arrives With Classic Navy Stripes appeared first on Sneaker News.